In one of West Seattle’s most beautiful neighborhoods, four modern townhomes have arrived on the scene. Calafia Townhomes boast three floors of open living space, including two full-floor suites. In one of West Seattle’s most beautiful neighborhoods, four modern townhomes have arrived on the scene. Calafia Townhomes boast three floors of open living space, including two full-floor suites. The ground level suite serves as a large bedroom, spacious den, or home office, with a full bathroom and laundry room. On the main floor a great room features a sleek galley kitchen, balcony, and large windows, creating an open, loft-like space for entertaining. The top floor’s master bedroom has an ensuite bath with double sinks and closets. Tucked away, a stairwell leads from the master suite, through a glass skylight and onto a full roof deck. Take in territorial views, plant an urban garden, and enjoy an outdoor living space all summer long. Reserved parking is accessed along the rear of the property, and off-street entries offer privacy to homeowners. Balconies overlook a spacious, shared, south-facing green space. Calafia is designed to 4 Star Built Green standards, an environmental building program from the Master Builders Association in partnership with King County and Washington State government agencies. 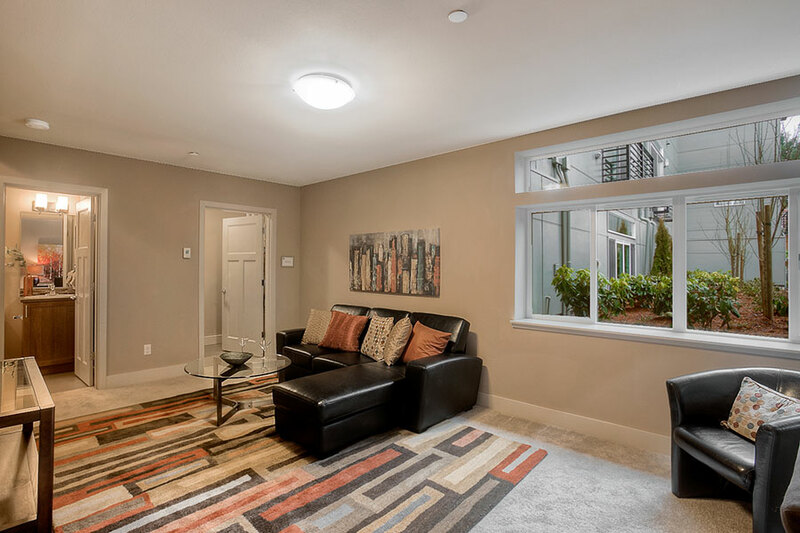 Including high efficiency water heaters, plumbing fixtures, and insulation, Calafia Townhomes are more cost effective to own and will cost less to maintain. 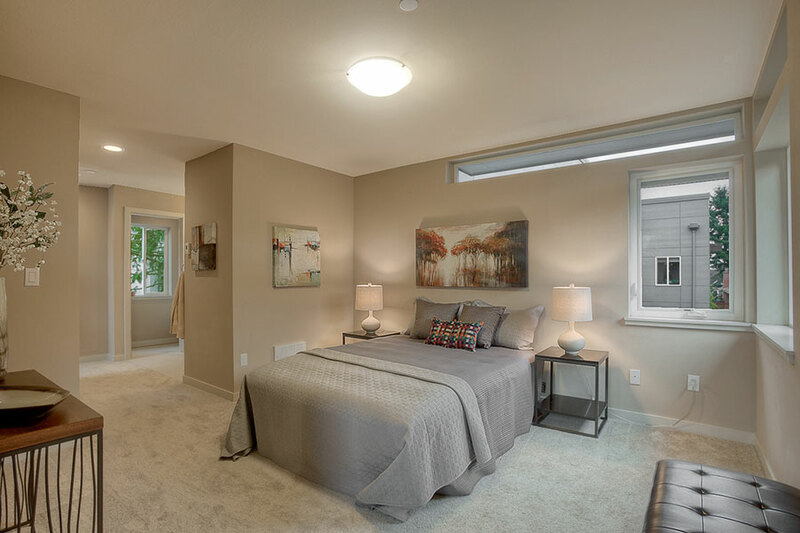 Bamboo hardwood floors, whole house ventilation, and low VOC paint and finishes will promote safer, healthier indoor-air quality and help you leave a smaller environmental footprint while helping to protect the Pacific Northwest’s precious resources. The Calafia Townhomes’ location allows you to enjoy all the benefits of living in the city, with transit, shopping, and amenities all close by. Just blocks from West Seattle’s vibrant Admiral neighborhood, a wide range of restaurants, wine bars, coffee shops, and even a movie theater are a short walk away. Nearby Metropolitan Market, PCC Natural Market, and the Admiral Safeway make it easy to plan shopping around your work commute. Numerous buses get you to and from downtown quickly. Bike and walking trails lead to viewpoints, parks, and Alki Beach. West Seattle is an ideal community to make your own.